Recents news | Even if you were thousands of miles away we cannot help but to feel a range of emotions the day after the terror bombing attack at the Boston Marathon. Los Angeles psychologist Emanuel Maidenberg, PhD, says that in the wake of all that horror, it’s understandable that emotions are still raw and intense. “People become vigilant, they look around, they become apprehensive,” says Maidenberg, director of the cognitive behavioral therapy clinic at the UCLA’s David Geffen School of Medicine. He added, empathy for those killed or injured, as well as fear for your own safety and anger at the bomber or bombers, are also common and normal at this time. 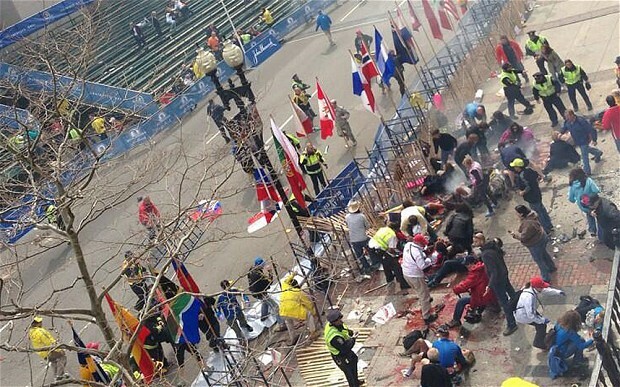 One hundred fifty and more are reported injured aside from the three people confirmed dead than from two bombs that exploded near the finish line of the marathon Monday afternoon. He says, for people who witnessed the attacks, the same emotions can surface, although they may be much more intense. “Some people feel numb emotionally and some feel overwhelmed,” he says. “Some people feel they have to start doing something right away to help other people.” Immediately after the attacks, news reports told of runners who went straight to the nearby hospitals to donate blood. “Some feel it’s best to withdraw and isolate themselves,” he says. While the other emotions are healthy, withdrawing and isolating are not, he says. For the runners, especially those turned back from finishing the race, he says, there is also disappointment and frustration. The next question would be how to coup up and how to handle the stress after the bombing. For the first few days after such a catastrophe, Maidenberg says, sharing your feelings with others can help. The tendency to stay plugged in constantly to news reports, though, can be mentally unhealthy, he says. “We want to know what’s happening, who’s behind it,” he says. That helps us deal with some of the uncertainty. He said it can also keep you from your regular activities, which is good for healing. He then suggests limiting your news viewing. “My advice is, you do want to seek accurate and timely information. Once or twice a day, check in,” he says. The rest of the time, it’s better to go about your typical activities, he says. This is the point in time where you must pay even more awareness to your usual stress-reduction techniques and to do more often than reducing the technique. It’s bright to give yourself a reality check, too. “We should also remind ourselves that the likelihood of this happening to us remains extremely low,” he says. While those who witnessed the events firsthand may take longer to cope with their emotions, anyone still feeling overwhelmed after 4 to 6 weeks should consider seeking professional help, Maidenberg says.